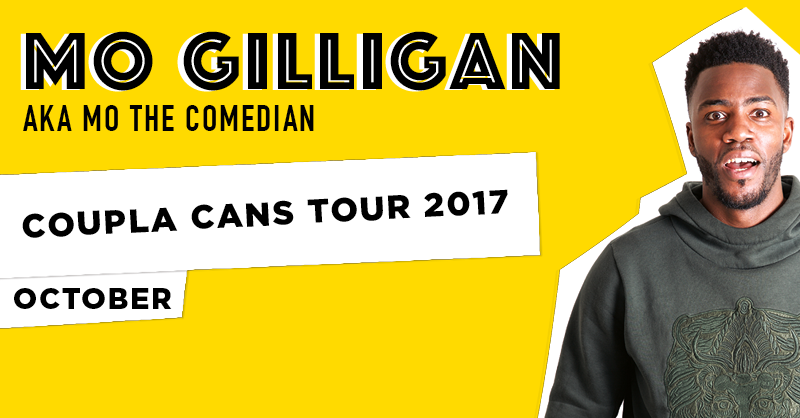 On Sale Date: Saturday 29 July 2017 10:00 AM Mo Gilligan, aka Mo the Comedian, is one of the UK’s fastest rising social media stars with an online reach running into the multiple millions. With his high-energy style and stunning physicality, Mo creates his own short form comedy content across a range of platforms, with huge viewer engagement. His sketches regularly go viral, trend and are shared by the likes of Stormzy and Tinie Tempah. He’s already collaborated with The BET Awards, Unilad, Wall of Comedy and Link Up TV and appeared on BBC Three & BBC 1Xtra. Don’t miss this chance to see one of the most exciting rising stars in British Comedy.